The construction sector is an industry with a high relevance to the environment. With an annual volume of 200 million tons, mineral construction and demolition waste, roadway rubble and soil is by far the largest waste stream in Germany. According to the Central Association of the German Construction Industry up to 90 percent of this waste stream is kept in circulation. The required recycling and treatment solutions have always been an important segment of IFAT. 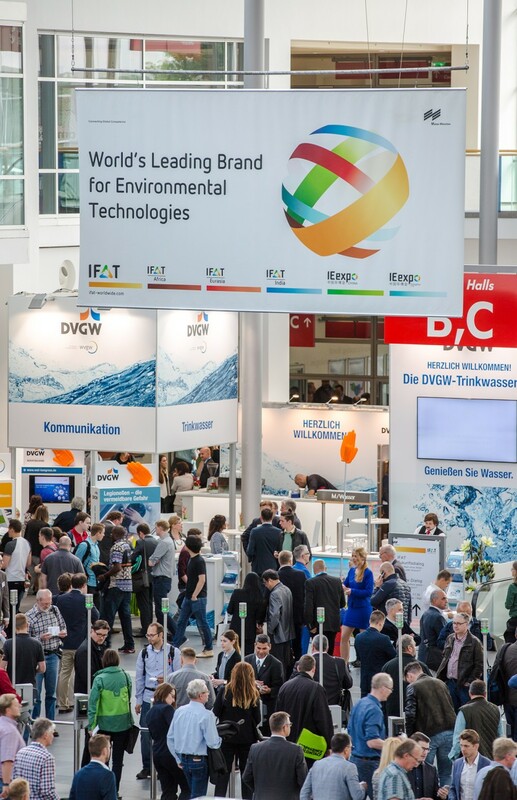 The World's Leading Trade Fair for Water, Sewage, Waste and Raw Materials Management will take place at Munich’s exhibition center from May 14 to 18. This year, several program premieres will pay due attention to the recycling economy’s significance in the construction industry. IFAT 2018 will for the first time feature an area devoted to “Sustainability in road construction”, covering the entire process chain from road demolition to reinstallation. Apart from sustainable procedures and materials, the focus will be on the digitization’s influence on all process steps. A top-class conference program organized by the German Association of the Building Industry, and Environmental and Mechanical Engineering (VDBUM) will accompany the special area’s joint booth and individual company presentations. The demonstration days of the German Engineering Federation (VDMA) also offer an innovation. Until last year, they had included live outdoor demonstrations of the state of the art in biomass size reduction and treatment. This year, VDMA will also show mobile machines for treating mineral waste. In road construction, efficient and environmentally friendly recycling already begins during demolition. Wirtgen GmbH will, for example, bring a cold milling machine to IFAT which is used to quickly and precisely remove asphalt and concrete pavements. Milling the surface, binder and base in layers additionally enables the material to be reclaimed in a selective process and separated into the different mix types. Furthermore, the milling machine creates a true-to-profile and even base for the construction of new surface courses of uniform thickness. To prepare building waste and roadway rubble for a new product life, it often needs to be crushed. At the new special area in Hall C5, IFAT 2018 gathers a broad spectrum of special machines, such as the stone and asphalt crusher SRC+ of the company Crush + Size Technology. After a primary crushing stage, the double-roll crusher consumes relatively little energy to gently grind the old asphalt to 32 mm, while barely destroying the original grain structure with the adhering bitumen. Combined with the secondary crusher DRC+, only insignificant amounts of the unwanted sand fraction are produced. Many custom-fit recycling procedures require construction waste to be screened. The machines used for this purpose need to meet high demands: they have to be mobile for them to carry out their work in different locations. In addition, they must handle materials of different weight. For the drum screens of Komptech this means that they have to be equipped with a stable frame, a robust discharge conveyor and a drum that is resistant to falling stones. Additionally, the screens need to be constructed so that sticky or clayey feedstock does not clog the drum or cake between drum and side wall. In the past, Komptech fulfilled these demands with its drum screener Nemus 2700. At this year’s IFAT, the company will introduce a new development based on this machine: Nemus 3000. The fine and oversize fraction discharge belt is much longer now. Maintenance intervals, for example for the DRUMGRIP drive, have been doubled thanks to the newly designed lift kinematics. According to own statements, Kormann Rockster Recycler GmbH wants to screen construction waste as environmentally friendly as possible—for example by efficient dust suppression, sound-proofing and state-of-the-art drive motors. At IFAT, the company will present the mobile screen RTS514. The track-mounted three-deck screening plant has a feed hopper volume of 7.7 cubic meter and is equipped with belts for sand, coarse and medium fractions—the latter is again divided into coarse and fine structures. In addition to demolishing, crushing and screening mineral construction waste, there are many other aspects in the construction industry that require environmental technologies and recycling products. The machine manufacturer Doppstadt, for example, addresses mixed construction waste. At IFAT, the company will show a machine combination of drum screener, wind sifter and density separator. This procedure chain separates mixed construction waste into the fractions stones, sand and wood. And plastic films are screened out as well. One of the most important tasks in road construction is to preserve existing roads. Cracks, for example, can be an enormous problem as they may appear again on renewed asphalt layers. S&P Clever Reinforcement GmbH tackles this problem with glass-fiber and carbon- fiber reinforcement meshes. These are installed directly beneath the surface or binder course. The high-strength pre-bituminized mesh exhibits excellent adhesion to the ground. 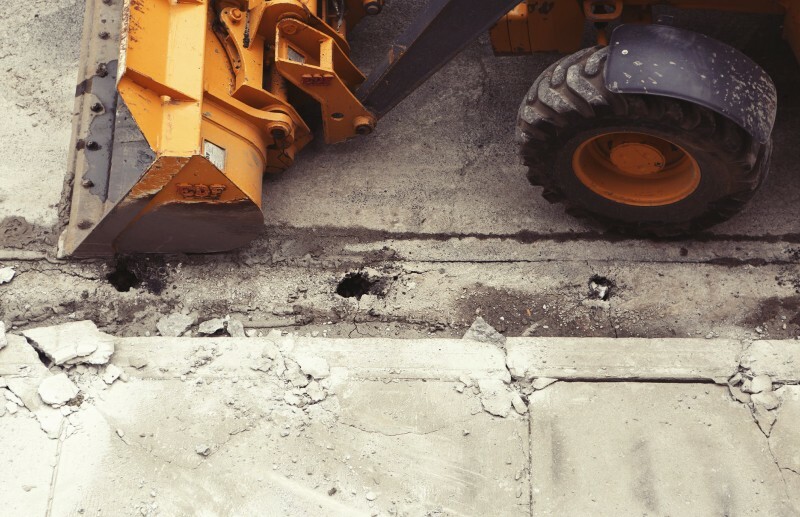 If the road needs to be demolished later, the meshes can be easily milled and recycled. According to current knowledge, milled material containing reinforcement residue of S&P Glasphalt/Carbophalt can also be used in higher-grade layers such as surface or binder courses. One of the recycling construction materials presented at IFAT will be the aggregate Granugrip of the German manufacturer Nadler Straßentechnik. It is highly resistant to abrasion and blends into or adheres to the asphalt emulsion. And as it is lighter, it always floats on top. The above-mentioned solutions only reflect a small part of the extensive world of environmental technology demonstrated by more than 3,100 exhibitors at IFAT 2018.